China Fiber Optic Cable manufacturer, Fiber Optic Adapter, Attenuators supplier - HOLIGHT Fiber Optic Co., Ltd. Fiber Optic Cable, Fiber Optic Adapter, Attenuators manufacturer / supplier in China, offering Fiber Jumper Cable Patch Cord Sc to St Om3, Fiber Jumper Cable LC to LC Singlemode, Sc/Upc Optical Connector for Fiber Optic Cable and so on. 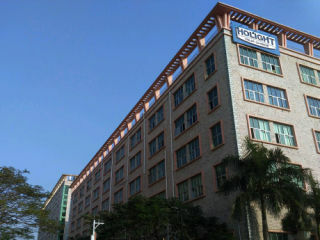 Holight, established in 2004, is a leading professional fiber optic patchcord manufacturer and exporter from China. We focus on producing fiber optic connector parts to overall assembly to the customers from all over the world. With nearly 12 years' experience in the export market, Holight has been continually growing and expanding the product lines to keep up the pace of industry trends.